I designed and built a Facebook app that allowed Facebook fans of the Léntheric brand, Hoity Toity, to send a secret love message on Valentines day. 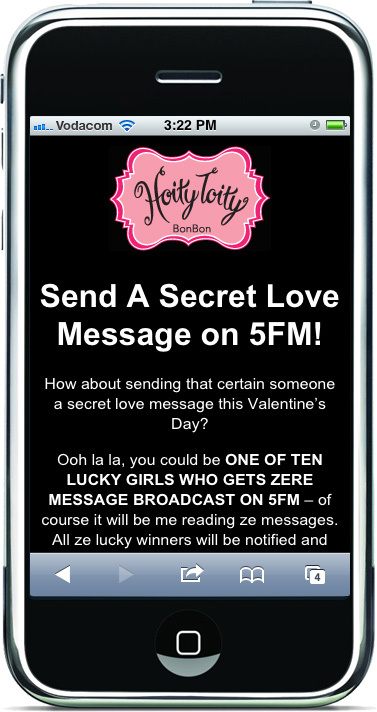 Then as a bonus 10 lucky winners would have their secret message read out on 5FM, South Africa’s largest radio station, by the brand icon Lola. 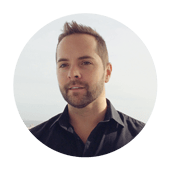 I was finding that in South Africa there was a large Facebook user base that was interacting with the brand via their mobile phone, so were unable to view the app. So I also built a mobile entry page for users to access the campaign straight from their mobile phones. The campaign was a great success and even resulted in a proposal.